Posters can be an incredibly fun and colourful way to brighten up the spaces around you – whether they be in your office or at home. They can provide inspiration or simply make your environment more enjoyable to be in. 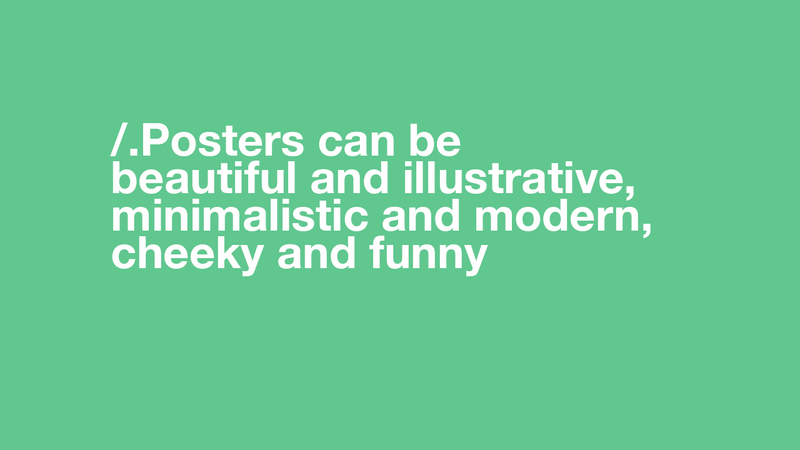 Posters can be beautiful and illustrative, minimalistic and modern, cheeky and funny – really, the list goes on and on. 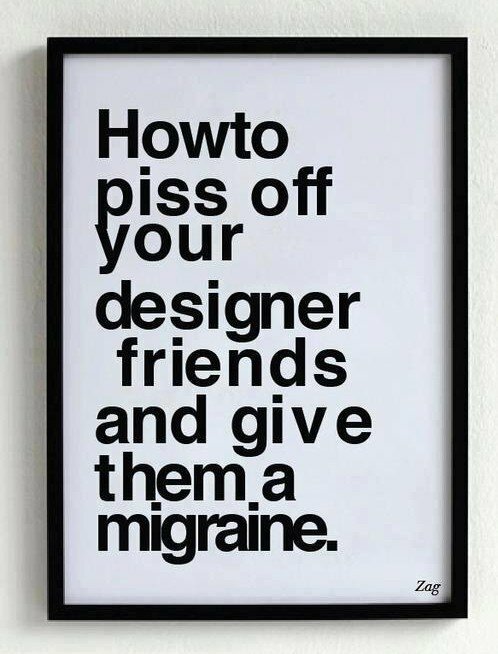 We could all use a little more joy in our lives, so today we’ll be looking at some humorous posters about graphic design and the struggles graphic designers face every day. Let’s lighten up the mood and explore posters all about graphic design and those who love it dearly. 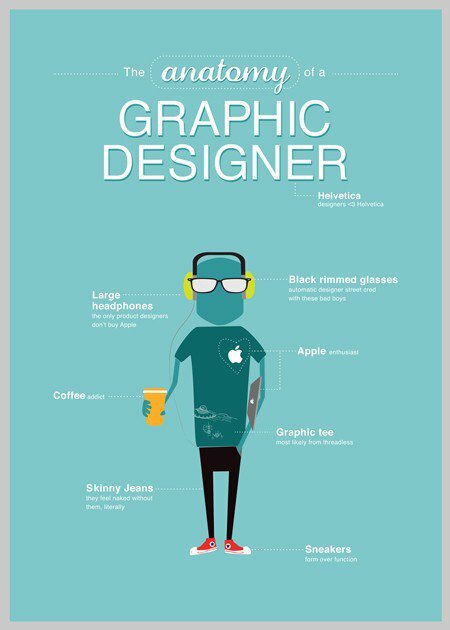 This poster is a funny take on the aesthetic stereotype of a graphic designer. It covers everything from typical wardrobe pieces to caffeine addiction. Not all graphic designers fall into this stereotype, but it’s fun to see how people perceive them. This poster really does do what it says. A multitude of things are wrong in this design – the kerning and leading are inconsistent (leading is the space between lines of text). As you can see, both are all over the place, and really, really difficult to look at. Sure, designers love fonts. 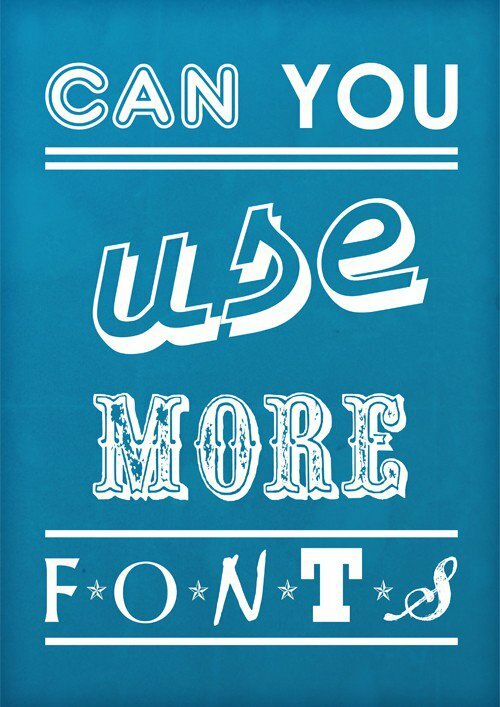 But we all know that there is such a thing as ‘font overload’. 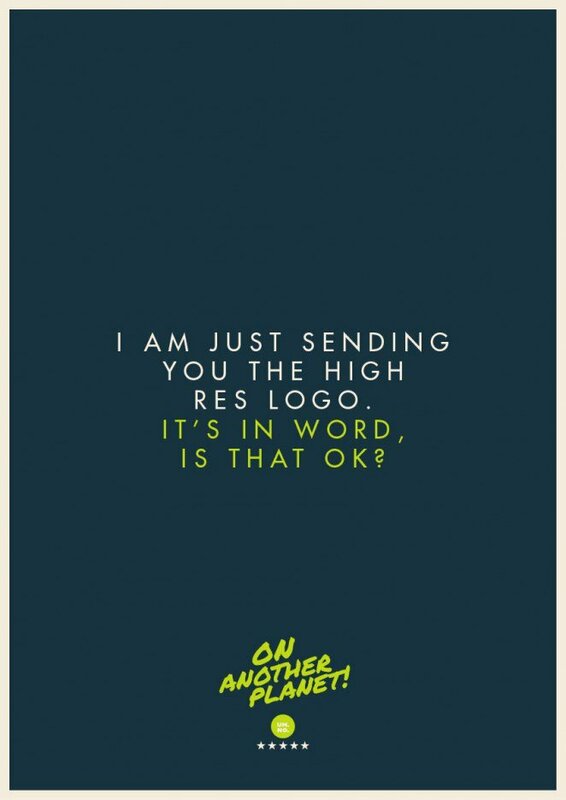 It isn’t necessary to accentuate every word in a different font when we can design a much better solution, and this poster pokes fun at that idea. This poster truly shows the importance of kerning, which is the spacing between letters. 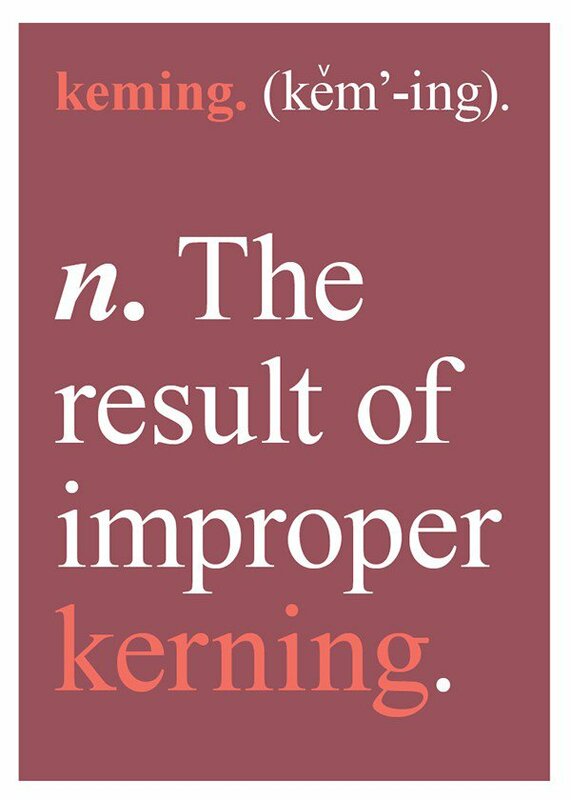 You can see what looks like the word ‘keming’, and it is cleverly depicted alongside its definition. After reading the meaning, you see that the ‘m’ is really an ‘r’ and ‘n’ smashed together – a prime example of bad kerning. Sending someone a ‘high res’ logo in a Word document is not high resolution. This is something people not in the industry don’t understand, and it can be a daunting task for a designer to go back and forth with a client to get the files they so desperately need to do good work. 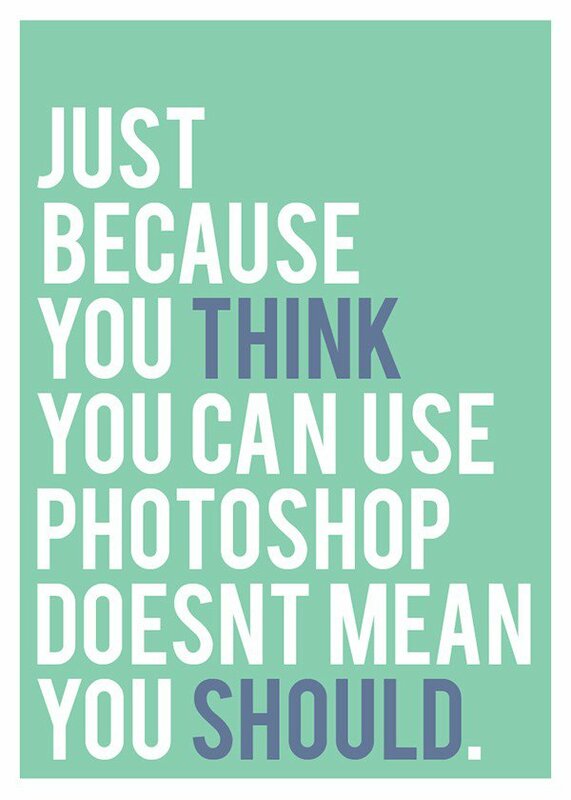 Lots of people play around in Photoshop, but that doesn’t make them a designer. Becoming a designer takes years of training, and when people dismiss our skills because they’re familiar with ONE of the programs we use (there are many) it’s a low blow.